"Preparing for DDoS attacks requires the expertise of engineers that have been on the front lines"
A deep expertise in DDoS attacks by industry veterans is the foundation of the NimbusDDOS product line. NimbusDDOS has one of the leading DDoS experts in the world as both founder and chief technical architect (bio). Together with a hand-picked team of DDoS experts, we have helped organizations navigate this specialized area of information security. 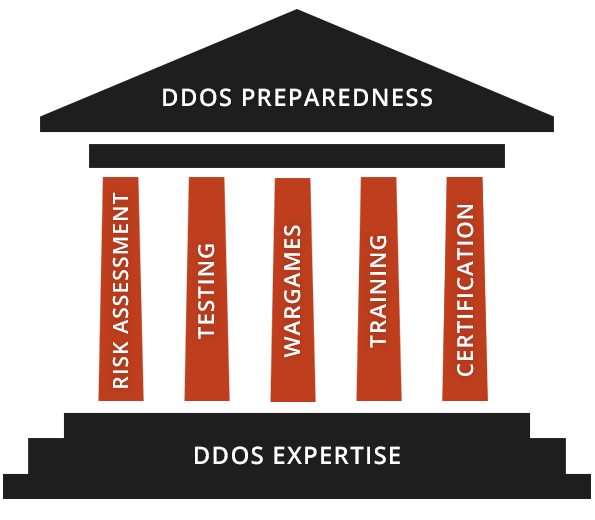 // Industry Veterans: The technical leadership of NimbusDDOS has an average of 15 years experience in the DDoS field. The technical leadership are subject matter experts with experience in both the black hat and white hat security worlds, and specific first hand experience with mitigating DDoS attacks. // Real-World Expertise: Our DDoS attack experts have real-world experience in both the creation and defense of DDoS attacks. DDoS attacks aren't a hypothetical risk for these security veterans, but a tangible risk. // DDoS Attack Research: NimbusDDOS attack experts continually analyze current DDoS attack vectors to ensure the maximum level of preparedness for our customers. To stay ahead of attackers, our experts are continually researching new and unique DDoS methods and regularly monitor the dark web for emerging threats. // Thoroughly Vetted Personnel: All NimbusDDOS engineers are U.S.-based and must complete extensive pre-employment background checks and periodic security reviews. Maintaining our customer's security and confidentiality is both company policy and ingrained in our corporate culture. // Dedicated DDoS Expert: Each customer is assigned a dedicated DDoS expert that provides DDoS preparedness advice and guidance. This single point of contact manages all engagements and engineering efforts. This dedicated resource will also "deep-dive" into the customer's environment to tailor the service delivery and recommendations to their business and risk exposure.